Support for analog input from the Amazon Fire TV Game Controller and other gamepads. By adding full support for Fire TV devices, developers can publish the same web app across all of our Fire devices and take advantage of the great performance enhancements the Amazon WebView offers. In addition to our launch partners, we are excited to see what developers come up with to help push HTML5 forward onto the big screen. Through the Amazon Appstore on Fire TV devices developers can now deploy web apps and games to a whole new audience. HTML5 is a great cross platform choice for developers and we are now enabling them to reach even more customers than before. While traditional media apps make sense on the Fire TV, we are also looking forward to seeing HTML5 games and media apps evolve on this new platform. With support for WebGL, Gamepad API and accelerated canvas, high quality web games can now run on the TV. This opens up an entirely new world to HTML5 game developers hoping to build console quality games with the tools and frameworks they currently use to reach millions of web and mobile web gamers every day. Bringing your web app to Fire TV is easy. 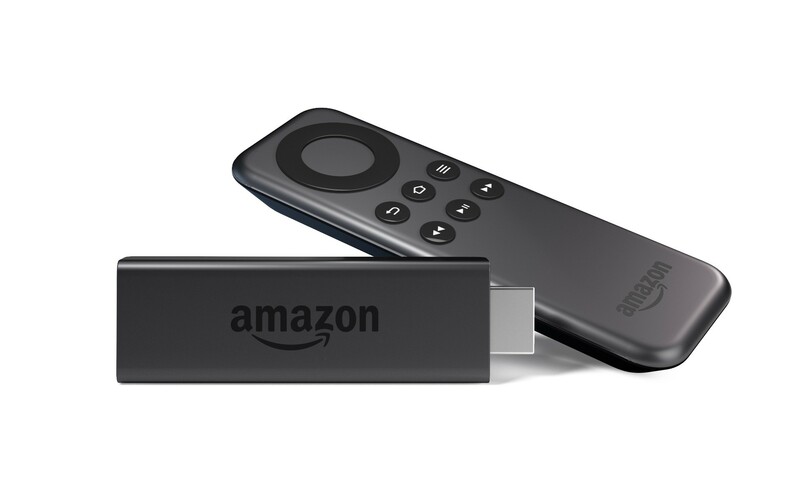 If you already have an app optimized for the 10-foot experience, you can get started by downloading the Web App Tester from the Amazon Appstore on your Fire TV or Fire TV Stick. Once installed, you simply enter in the name of your app and its URL online. 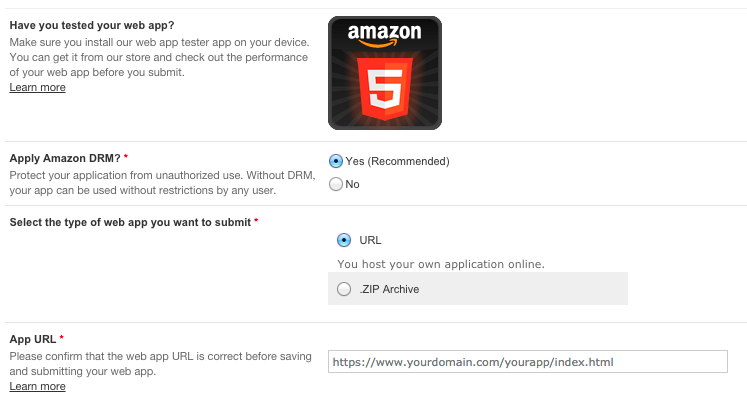 Likewise, you can also supply a .zip file to package up your app by following these instructions. After all the details are supplied, you can see how your web app will run on the Fire TV via the preview option. If you are looking to get started building Web Apps for Fire TV or Fire TV stick, we have also provided an open source template on GitHub. Make sure to check out the online documentation that will walk you through everything you need to know about publishing HTML5 apps to the Fire TV family of devices.